This week I am excerpting a chapter from The Craftsman Founder Manifesto. And this is the tame version, the Rated-G version of what goes on in most minds. For those aspiring to be startup founders, this voice can be crippling. Many have stayed on the edge for decades, never making the leap to actually start a company. The first thing to realize is that the voice is not you. Most people never realize this part. The voice seduces you into thinking that the thoughts are your thoughts–that the voice is your voice. The voice is tricky and clever and cunning. It sounds personal because it is in your head. But it is actually a universal song sung by commonplace demons we all share. Make no mistake about it: it is a shared experience, part of the human condition. The second thing to realize is that the voice never goes away. You can’t turn it off and you can’t win arguments with it. If you are waiting to feel like it is a good time to start a company, you will be waiting forever. And the most screwed up part is that most of the things that the voice says are true. That’s what makes it so hard not to listen to. But listening to the voice is like sitting in a movie theater: you often lose track of yourself and forget that you have the freedom to stand up and walk out at any time. The movie doesn’t stop playing when you walk out, just like the voice doesn’t stop yelling. It does no more good to argue with the voice than it does to argue with a movie screen. In fact, if you argue with the voice or try to reason with it, you are often pulled right back into the theater seat. The voice wins because you forgot it wasn’t real. You forget that it is just speaking in a non-stop stream of empty and vile words. When you engage with the voice, you give it your power. When you argue with it, you make it real. When you actively suppress or try to ignore it, you are actually feeding it. There is a siren’s song inside all founders. It is like a tape recording that is always playing. You can’t turn it off. You only have one choice: is it foreground music or background music? A Craftsman Founder has tamed the voice–turned it into mere elevator music. He doesn’t fight it or suppress it. Instead he is motivated by the voice, not stifled by it. He allows the voice to power him instead of powering the voice. He uses the familiar sounds as a reminder to double check decisions instead of shooting from the hip. He also knows from experience that the louder the voice is, the closer he is to the finish line. It gives him strength and acts like a compass. Can you hear your own inner voices? Listen, acknowledge, smile, and chose otherwise. You will have to do this every day. It feels unnatural and backwards, but this is a normal part of the craft of startups. Like it? Want the rest? 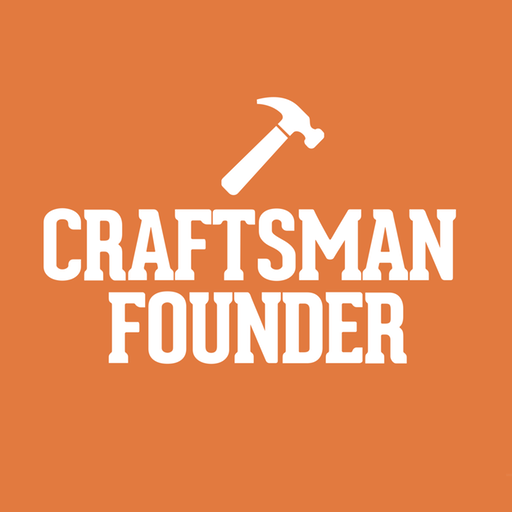 Sign up now for the Craftsman Founder newsletter to get your free copy.